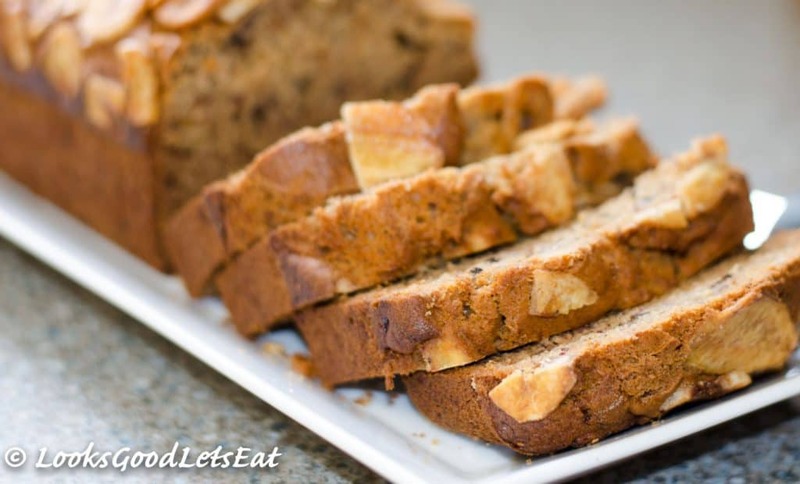 A lovely moist banana bread with an added crunch of walnuts and warm hug of ginger and cinnamon spice. After making my Nutella Banana Muffins and their success within the family, especially my wife who generally is not a fan of bananas I thought I would try and revert to the classic Banana Bread. I spent a good while reading my cookbooks, magazines and looking online and have found that generally there are all the same with only minor additions or taking away of ingredients. So, after copious amounts of coffee, writing notes on several differences I actually settled for the base recipe of the banana bread to be that out of Eric Lanlard’s book, Home Bake. I have had this book for a while now and love it. 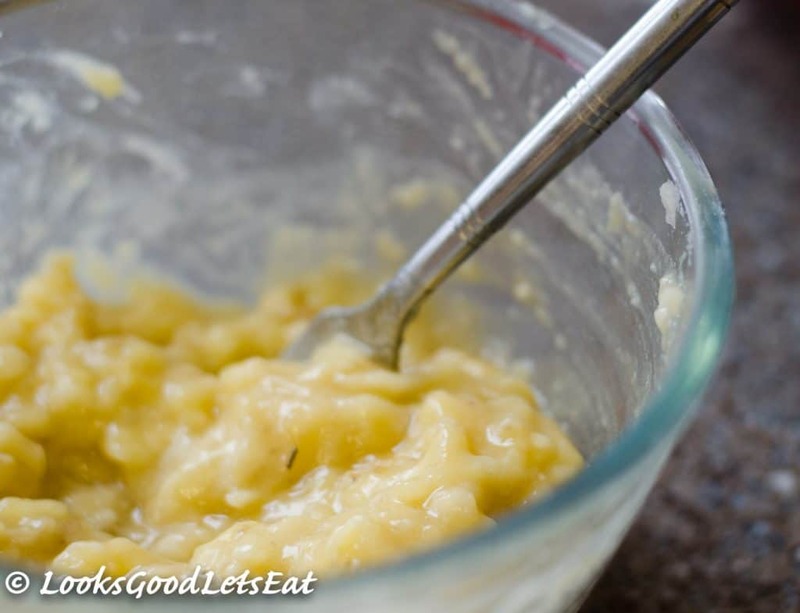 It has become a staple book that the kids grab when I ask if they want to bake and then like any great kid’s imagination want to change the recipe to something that sounds fabulous in their wondrous minds. For this recipe, I retained the walnuts, increased the banana chips and added some cinnamon and ginger. I imagine your raising your eyebrows right now at the spices added at the end. I can assure you now these spices are wonderful and pair so well with bananas. I paired these on great faith to two sources. One source is an all-time favourite book called ‘The Flavour Thesaurus’ and latterly a site called The Flow Show. Both the book and website are so insightful to bring any new ideas to your cooking, especially if you fancy trying something that little bit different and I highly recommend. In-between these steps the addition of the other ingredients are incorporated. For me when making cakes, apart from eating them is the actual baking process. There is something quite satisfying after carefully following the processes, weighing out the ingredients with such precision (so important in baking) and then putting the cake in the oven, setting the timer and sitting for a cuppa. The smells that emulate from the kitchen, getting stronger as the baking time decreases to the chime priming you to test the cake with a skewer in the middle. 5 more minutes you tell yourself as the cake is just slightly underdone then ‘boom’ it’s ready. 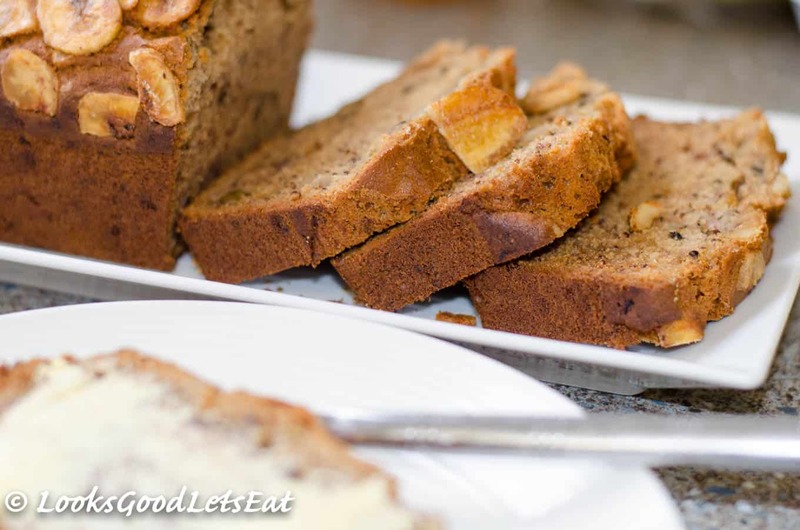 This banana bread not only had the scrumptious aroma of the bananas but had the addition of warm spice that really draws you into wanting to cut a piece and start munching, but ‘no, wait’ you tell yourself. 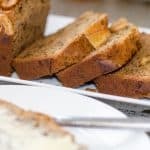 When ready though this banana bread is moist with a generous crunch from the walnuts and banana chips followed by a lovingly gentle hug from the cinnamon and ginger. Cut into thick slices, toasted on one side, my preference, and then spread with a generous helping of butter alongside a nice cuppa makes relaxing much more satisfying. Preheat the oven to 180C / 160C fan and grease a loaf tin with the extra butter. 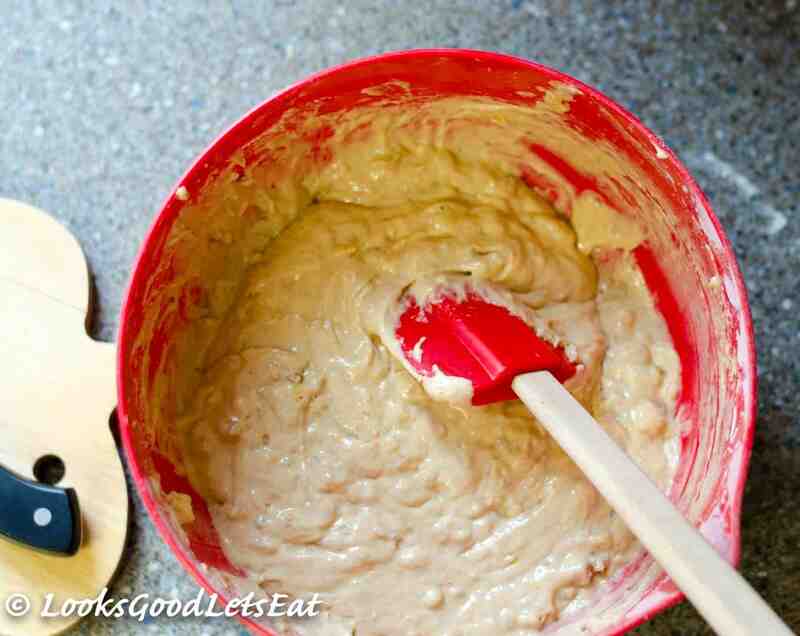 In a large mixing bowl cream the butter and sugar together until smooth and a little paler in colour. Add one egg at a time and beat well until fully incorporated. Sift in the flour and spices and fold in with a wooden spoon then add the milk a bit at a time until smooth. 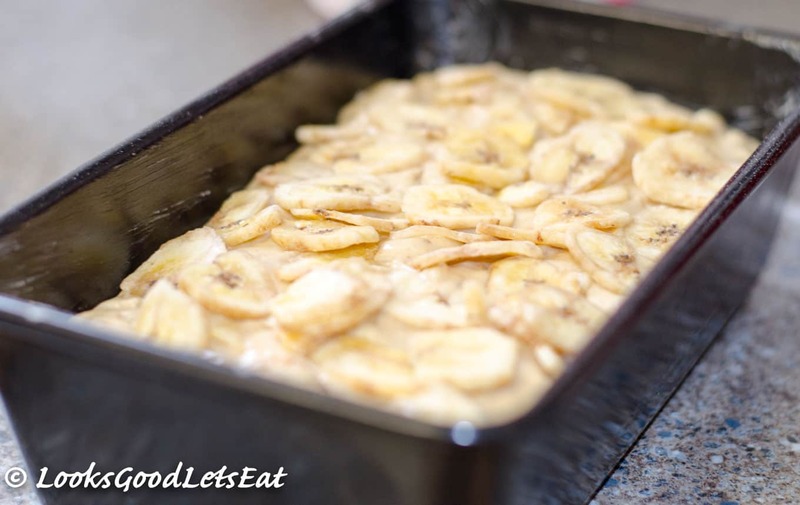 Fold in the mashed banana, walnuts and chopped banana chips and mix well once more. Spoon the mixture into the greased loaf tin level and place the remaining banana chips on top in a neat(ish) fashion. Bake for about 1 hour. Check by placing a skewer into the center of the loaf and if it comes out clean it is ready. Some ovens vary and the loaf may take slightly longer and if you see the loaf browning too quickly cover loosely with foil. Allow to cool in the tin for about 20 to 30 minutes before turning onto a plate. Serve at room temperature or toasted with a good layer of butter and a cuppa. 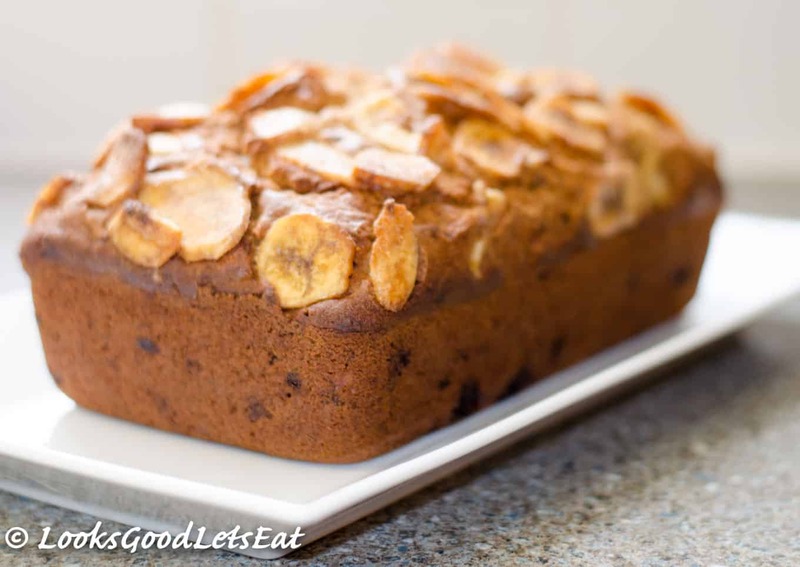 This recipe has been adapted from Eric Lanlard’s in his book ‘Home Bake’.